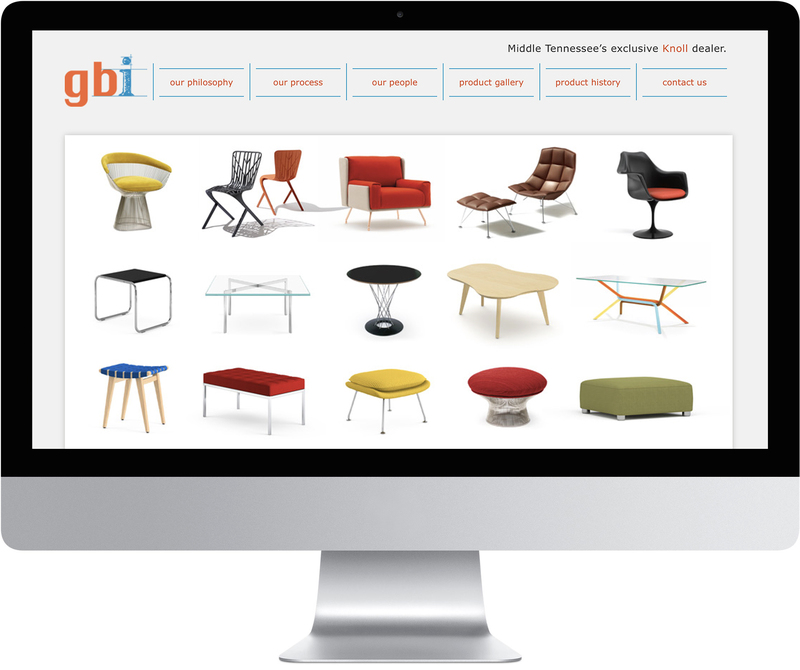 As Middle Tennessee’s premier interior solutions expert and exclusive Knoll furniture dealer, GBI needed a brand and website that was as functional and design-driven as they are. Westwood engaged in a hands-on and collaborative approach to branding and website development. Like a GBI-furnished room, we think the results are pretty incredible. The company’s bright, contemporary website showcases their Form + Function approach to office furnishings. The interactive component mimics the company’s showroom display. 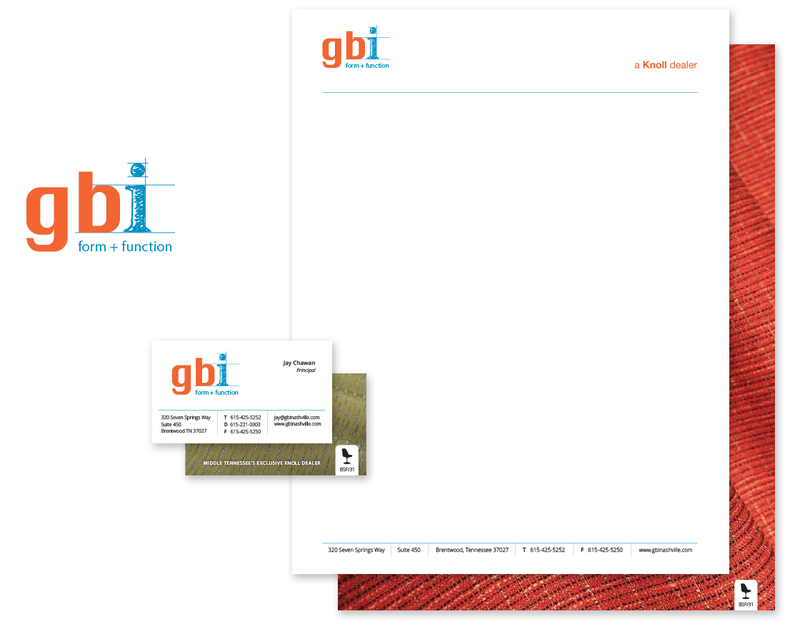 Taking an architectural approach to logo design, the new identity appeals to interior designers while lending itself beautifully to the company’s business cards and letterhead. Hitting the Form + Function sweet spot yet again, this attention-grabbing brochure feels as good as it looks. Using a die-cut cover, the “i” cleverly reveals one of Knoll’s durable fabric swatches. With these candid and colorful shots, our photographer caught the experienced GBI executive team at their very best — looking creative, animated, and ready to get to work!